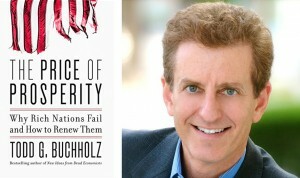 One of the top economists in the country, Todd Buchholz “lights up economics with a wickedly sparkling wit,” says the Associated Press. Todd is a former White House senior economic advisor, Tiger hedge fund managing director and best-selling author. His lively and informative speaking engagements have earned him a place in Successful Meetings Magazine’s “21 Top Speakers for the 21st Century, and his best-selling books on economics and financial markets have been widely translated and are taught in universities worldwide. Buchholz is praised for his examination of economics, business and entrepreneurship in the context of global society. As the presidential election has reshaped policy from taxation to healthcare to foreign affairs, governments and companies must grapple with crucial questions: Can the Fed prod the economy to recover, while Brexit and other worries drag down sentiment? Will the Fed keep its independence or be turned into a tool of the White House? Will the president look to hike the minimum wage and tighten overtime rules, or give firms more leeway on employee work rules and compensation? Will the U.S. build up bigger and bigger debts without tackling entitlements? Todd Buchholz has delivered keynotes at the White House, Treasury Department, UK Parliament and the Mexico stock exchange. His just-released book The Price of Prosperity is currently ranked #1 on Amazon for government and received rave reviews from advisors to Hillary Clinton and from advisors to Donald Trump. By “connecting the dots” of the world economy, Todd will help you develop a timely vision for the economy, the financial markets, and the dramatic impact of the presidential election. Never before have businesses felt so excruciating pressure to compete. While riding a roller coaster stock market, firms have struggled to raise prices, even when their costs go up. Loyal customers seem ready to jump to a competitor. China poses a threat, but also an opportunity for new sales. How can your company or industry survive and thrive? What will Congress do to help or hurt your industry in the coming year? Learn how to anticipate the new trends that open up fresh opportunities for manufacturing, service and technology companies. Todd G. Buchholz has served as a White House director of economic policy under President George HW Bush and a managing director of the legendary Tiger hedge fund. He was awarded the Allyn Young Teaching Prize by the Harvard University Department of Economics and was named “One of the Top 21 Speakers of the 21st Century” by Successful Meetings magazine. Buchholz has lectured in the U.K. Parliament, as well as at the White House library and the U.S. Treasury. 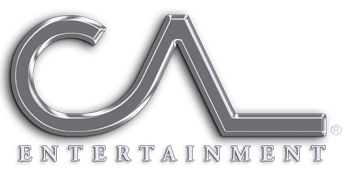 Buchholz is a frequent contributor to the New York Times, Wall Street Journal and Washington Post, as well as PBS, NPR and major television networks. He recently hosted his own special on CNBC and his books have been translated into over 15 languages. His first book New Ideas from Dead Economists is listed as a “classic” by the American Economic Association. New Ideas from Dead Economists was strongly endorsed by such varied thinkers as Milton Friedman and Lawrence Summers. Buchholz holds advanced degrees in economics and law from Cambridge University and Harvard and has served as a Fellow at Cambridge. is the co-founder and CEO of Sproglit, LLC, which develops software to teach mathematics to children. Sproglit’s games are based on Buchholz’s invention, the Math Arrow, which has been called “ingenious” by Martin Cooper, inventor of the cellular telephone.